In this listing you will receive a set of three reusable snack bags made with silly monsters and chevron fabric. Reusable food bags are great for packing treats and snacks on the go! 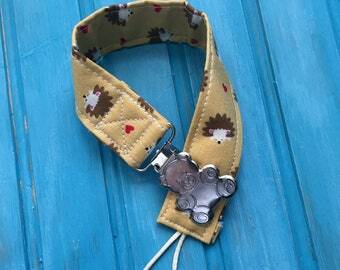 Perfect for children's school lunches, or even to keep in your purse! 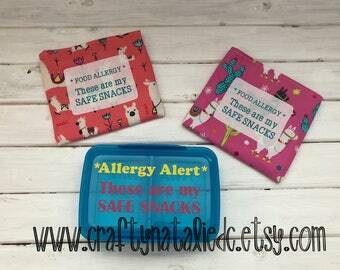 These are made specifically for children with food allergies. 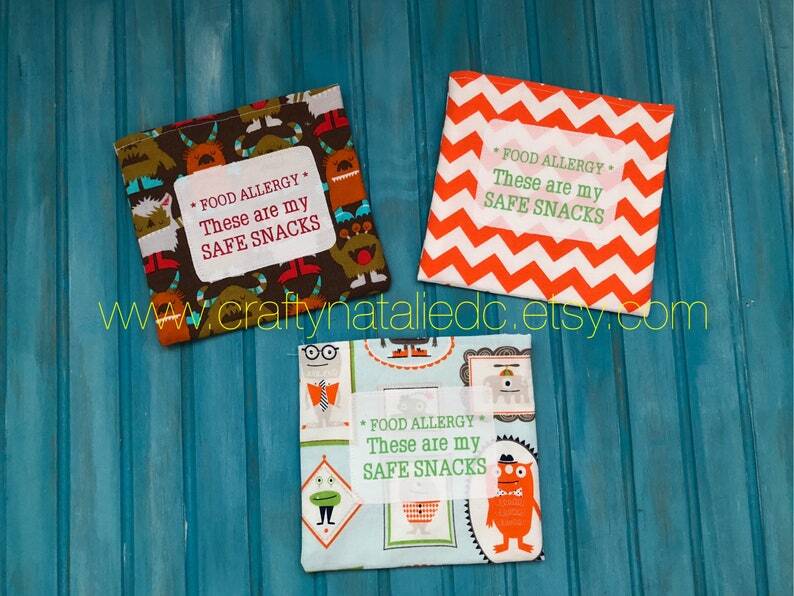 On each snack bag there is a fabric patch stitched onto the bag with a "*Food Allergy* These are my safe snacks" saying on it cut out of heat transfer vinyl. These snack bags are sized at approximately 6 inches x 5.5 inches. You will receive one in white chevron, and two in two different silly monster prints. 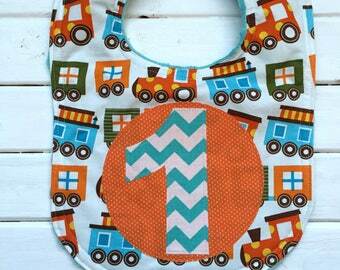 The exterior fabric is lined with fusible interfacing for extra durability. The interior is white ripstop nylon (which has been noted to be food safe). All snack bags have a velcro closure. 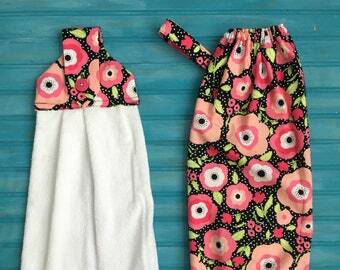 Items are machine washable and made in a smoke free home! (Since this item is for food use, it is recommended to wash in unscented detergent, turn inside out).